You guys know me, if it say’s on the bottle or jar that it thickens your hair instantly, I’m in. I am in love. I sprayed this into my freshly dried hair, I did it the best that I could given the circumstances that I’m hair inept. I mean really, I need expert products otherwise I wouldn’t look as nice and I think I do. 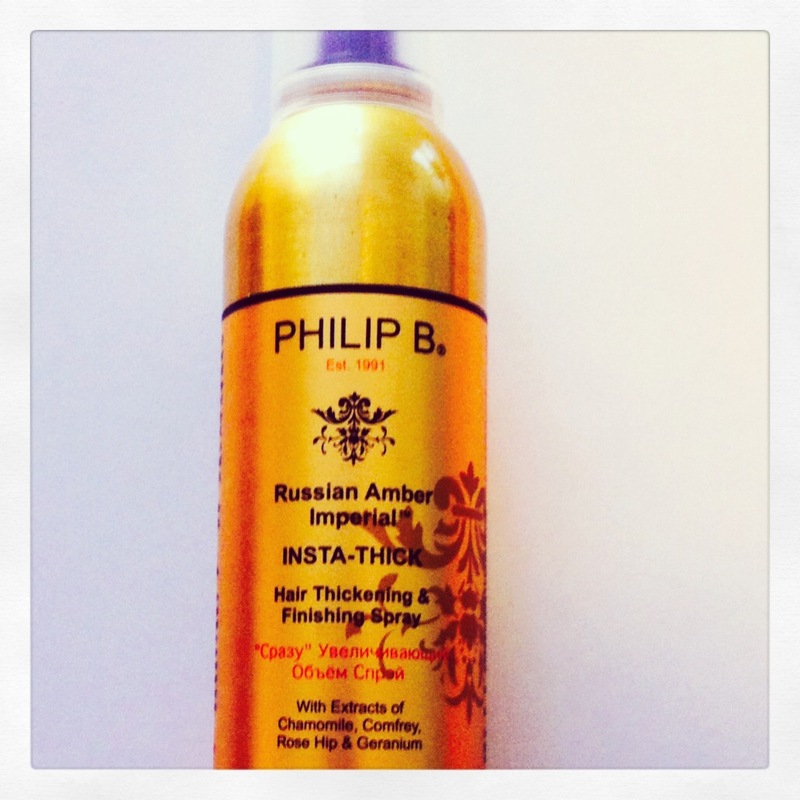 INSTA-THICK is part of the Russian Amber Imperial haircare collection by Hair Maestro Philip B. And it’s only the 2nd item I’ve tried and what can I say, so far I have not been disappointed. I just wish I could go to his hair institute in New York or London, wouldn’t that be exciting? The price may seem pricey, but it isn’t because it’s generous and a little goes a long way. Umm, can we just take a moment and look at how beautiful that bottle is? I’d like to have that just to look at. Are you watching Project Runway this season? I’m pretty sure PhilipB is providing all of the hairstyling.